Special guests Zakir Hussein and Hariprasad Chaurasia. Bustan Abraham is comprised of seven distinguished Israeli musicians, both Jews and Arabs, who have combined their experience as composers, soloists and heads of musical ensembles to create original instrumental music which combines elements of both Eastern and Western traditions. The backgrounds of Bustan's members represent an astonishing variety of musical cultures, including classical Arabic and European music, Jazz, Indian, Turkish and flamenco music. 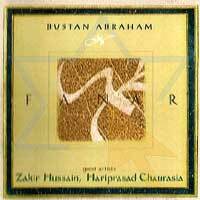 Bustan Abraham's recordings and powerful stage performances are greeted with standing ovations all over the world.